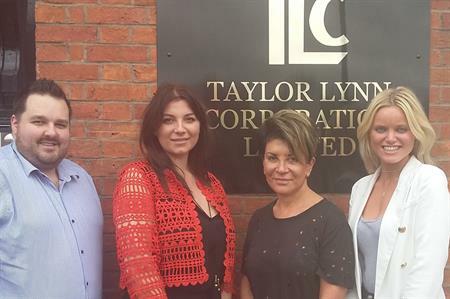 Manchester-based agency the Taylor Lynn Corporation (TLC), has announced two new staff appointments. The agency has appointed a new sales team, Rosie Griffin and Carl Darcy, to foster client relationships. Meanwhile events manager Ellie Barnes has become a shareholder within the business and will now be responsible for running the day-to-day operation in the company’s Manchester headquarters. "TLC is constantly innovating and we are entering another exciting phase for the company," said managing director Liz Taylor. "The changes will allow me to concentrate on developing the creative aspects of the business as well as invest more time in furthering TLC’s extensive client relationships. The new team structure also paves the way for a number of exciting new ventures that I have been planning. They will capitalise on the existing skills, contacts and relationships of TLC, but will take us into new markets and opportunities." TLC has seen a 10% growth from 2015 to 2016 in its corporate events and a 15% growth over the same period in private events. The agency is currently forecasting a similar growth in its corporate events for 2017.